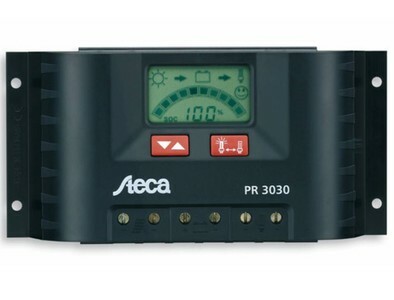 The Steca PR charge controllers were launched in the year 2004 as the fifth generation of charge controller technology (up to 900 Wp). 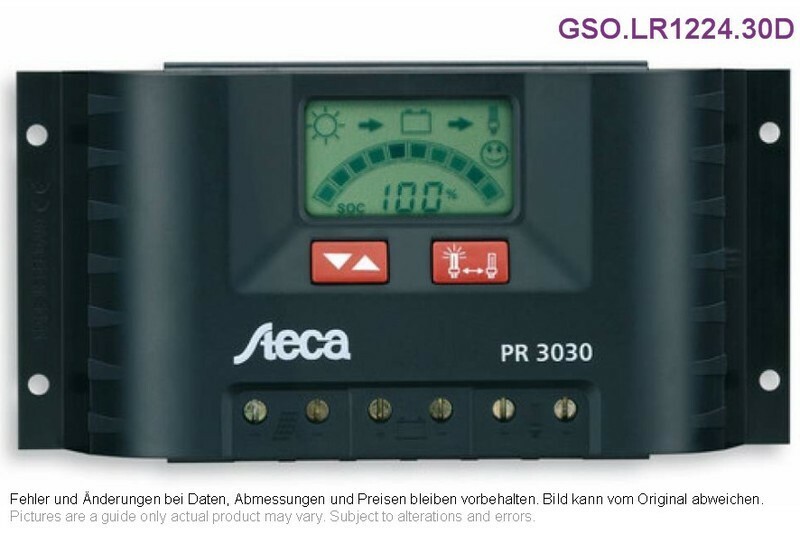 This high class state of the art product upgrades the Steca Solarix series by a customer designed LCD which shows the accurate state of charge (SOC) in percent and as battery gauge symbol. The heart of the controller is the integrated circuit called ATONIC®II, which contains the improved regulation software based on a self learning algorithm. Steca designed LCD in symbols and digits showing SOC, Vbat, all currents, Ah, alarms, day / night and more.